The youth team extended the unbeaten run this morning to six games with a 1-1 draw against Barnsley at Gawthorpe in what was probably the least entertaining game I’ve seen from the team this season. 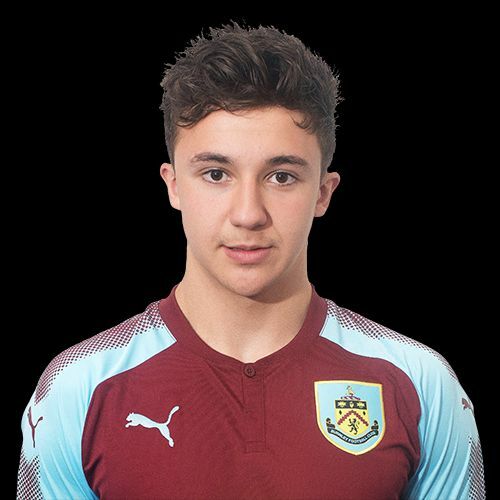 The two goals were scored within just over a minute of each other with Tristan Jumeau (pictured) giving us the lead in the 29th minute and Barnsley recording their equaliser in the 31st, but it was a game of few chance for either side and, in the end, the result was probably a fair one. Visits to Gawthorpe have long brought discussions on the weather while last week we had to face a battle of sorts to get in, both were certainly talking points this morning. As it happens, we had about three minutes of heavy rain around half an hour before kick off and that was it and I can report that the gentleman on security this morning was pleasant and helpful as supporters arrived for the game. Danny Cadamarteri named the same team that had beaten Sheffield Wednesday seven days earlier and on the bench he was able to call up goalkeeper Kai Calderbank-Park for the first time, presumably with his international clearance having come through from the Australian FA. For almost half an hour the game was very scrappy with neither side really threatening a goal, but then it sparked into life. After a couple of blocked efforts, the ball finally dropped for Jumeau in the box and he made no mistake with a powerful shot to give us the lead. At that point we settled back and waited for the sort of performance we’d seen a week earlier but we were hit immediately when Barnsley got down the right and the cross was met by the striker whose header nestled in the bottom corner. In truth, the game returned to its previous pattern and it was no surprise to see no further goals in the first half. We might have expected to step things up after the break but it didn’t really happen. We seemed reluctant to get too many players forward and in truth rarely threatened the Barnsley goal although we did come closest to getting a winner when Jumeau found himself in space on the left hand side of the box but hit his shot just too high and it came back off the bar. Barnsley might claim to have had more second half opportunities, and they did twice come close with deflected efforts with, on another occasion , Adam Bruce pulling out a good save to deny them. But in the end a draw, and a point, with the team now getting a week off. The next game is two weeks today when we play Bolton Wanderers at home. The team was: Adam Bruce, Dan Moss, Bobby Thomas, James Clarke, Kwasinkosi Mpofu, Tristan Jumeau (Michael Fowler 86), Ethan Kershaw, Terry Mupariwa, Dylon Meredith (Akim Samms 75), Kian Yari (Will Harris 89), Jordan Cropper. Subs not used: Kai Calderbank-Park, Leighton Egan.